I know it may sound ironic to some of you but... happy Monday! To fresh start this week I wanted to share the simplest, truest and most authentic message I've heard of lately. I'm sure it seems incredibly obvious and cliché, but whenever you do things right, out of passion and effort, they will turn out exactly as you want them to. 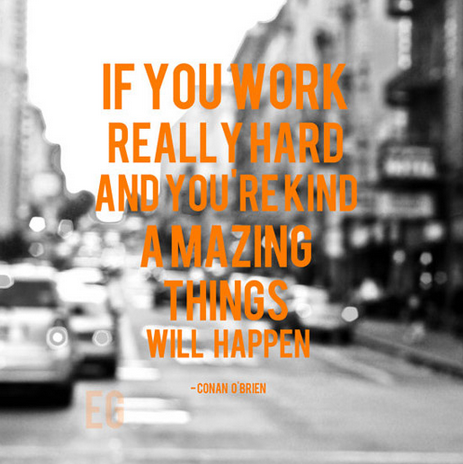 I'm not particularly familiar with his philosophy of life, but Conan O'Brien had this one right... Be inspired by this quote, and do everything amazingly.